It's not unusual for a party of adventurers to get some funny looks when they wander into town. The stamp of heavy horse, the jingle of armor, and the rattle of weapons are not common sounds in most towns... or even in most cities. Those wearing the vestments of the divine, or the arcane, are equally unusual sights for most average people. However, it's possible that the reason people are turning up their noses has nothing to do with Balthazar's uncouth language, or Gendrin's holy symbols. It might be because you all rode for two weeks to get here, and you smell like it. Seriously, guys, one orb of cleanliness goes a long way. RPG characters spend a lot of time in the great outdoors, away from civilization. 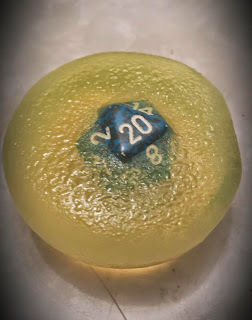 After hiking along highways, fighting bandits, butchering game, and slogging through abandoned ruins, they aren't going to smell like a rose garden. They're dirty, bloody, sweaty, and covered in a plethora of fluids they'd likely prefer not to think about. But much like travel time, we often ignore these facts because they can seem inconsequential. We just wave our hands and say they jumped into a stream, or the wizard spent a few minutes to prestidigitate everyone clean. Except Ivan. Ranger dirt has SR. 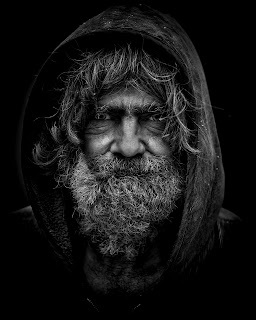 While there's nothing inherently wrong with that approach, there's a lot of personal and character detail to be found in someone's hygiene, and the routines they use to preserve it. For instance, does Ezekiel immediately leave the trappings of civilization behind when he's on the road, foregoing bathing so he's harder to detect in the wilderness? Does Retta even notice the dirt that gets on her hands? How many days does Blackstaff wear the same clothes? Is anyone using toilet paper? Unless you're part of an urban campaign, most of your time in fantasy RPGs is going to be spent camping. So it bears asking how you maintain yourself when you're out in the wilderness. As a for-instance, what about shaving? Does your PC bring a razor, a strop, and shaving soap in order to keep their hair properly groomed? Do they dry shave with the same dagger they fight with, using their belt as the strop? Or do they forego shaving altogether, seeing it as something to do when they get to town instead of on the road? Hygiene, just like traveling, is a routine. So, while it's good to know how you're doing it, it's really not something you need to labor over when it comes to table time. However, it can make a big difference when it comes to your PC, and the roleplaying involved. It's hard to tell someone's class at the hot spring... so tread lightly. For example, how important is cleanliness to your character? How do they show that? As a for instance, do you have a washing hammock (a waterproof sheet of material that can be hung up and filled with water for the purpose of bathing or washing clothes)? Do you wash your clothes every day, hanging them up to dry in the night breeze? Or do you make do with the same clothes for a few days? Do you wash yourself, or just apply perfume or cologne until it's hard to smell the sweat underneath? Is a wash good enough, or do you also take the time to brush out your hair, fluff your beard, and apply oil? Do you use skin cream to moisturize, or do you just deal with blisters, cracks, burns, and dryness until you're back in town again? There are all kinds of details that can say something about your character in this situation. For instance, does your character cut their hair before going off on a job because long hair is just too much of a pain to care for out on the trail? Or do they put it into an intricate braid, knowing that while it might get dirty or greasy in the coming weeks, they won't have to deal with that problem until after they return from their manhunt, or dungeon delve? Both solutions could reflect a personal or cultural attitude toward pragmatism over beauty, and the latter example might be seen as a warrior's braid, because it eschews the luxury of personal care when there's work to be done. Different characters, and different cultures, will also have different attitudes about cleanliness. For example, a character who comes from the frozen steppes might see a traditional bath as a decadent luxury for the soft and spoiled. For him, a sweat tent and a harsh, lye scrub would be enough for a clean feeling. A character who comes from a region where hot springs are common might start to feel filthy after no more than a few days, especially if they're used to having easy access to hot, clean water. Characters from highly segregated societies might see bathing in front of their own gender as normal, but shocking if done in front of those outside their gender. Those from a more communal society may be confused as to why others are blushing or stammering. They've faced monsters and blood without hesitation, after all, surely a simple bath is nothing to fear? Sometimes it's the little habits of characters that say big things about them. The knight who carefully wipes the dust from his armor and pennon every evening, for instance, could have a variety of motivations. Pride in his appearance, duty to the ideals he represents... or he just doesn't want dirt streaks down his skin when he strips it off for the evening. 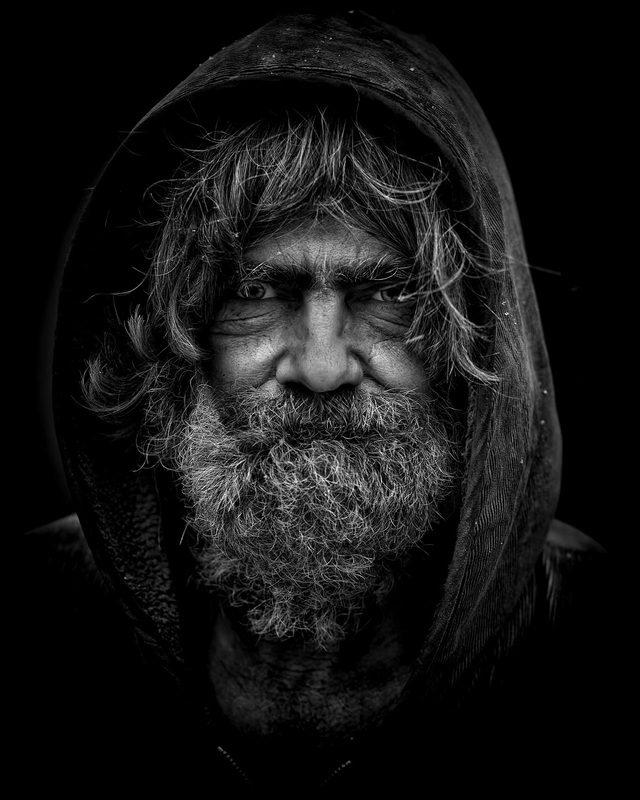 The woodsman who is constantly trimming his nails with his knife, or the wizard who takes pains to brush his teeth every morning and evening, will stick out. Partially because it shows care and thought being put into parts of an adventure that aren't soaring speeches or gritty combat... and partially because it's something a lot of people simply ignore. That's all for this week's Fluff post. 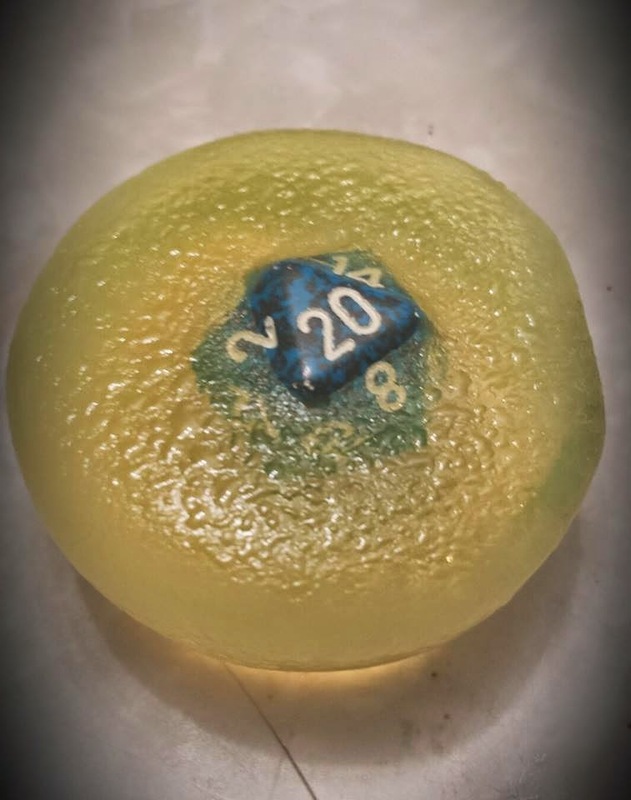 As always, thanks to Kolor Kreations for the photo of the half-destroyed orb of cleanliness, a product of Special Edition Soaps. Hopefully it got you thinking about your character's attitude toward cleanliness, and what kind of routine they go through on a daily basis. If you want to keep up-to-date on my latest releases, then follow me on Facebook, Tumblr, and Twitter. And, if you really want to support Improved Initiative, head over to The Literary Mercenary's Patreon page. All I ask is $1 a month, and that gets you both my undying gratitude, as well as some sweet gaming swag as a thank you. My noble Elven draconic sorcerer would use prestidigitation to keep him self and his gear clean, when out in the field. But when in an area where bathing was possible he would never skimp on a good soak. Flaming Crab wrote a book on this very topic. What an overlooked yet important part of a PC or NPC's background or color. Nice article!